TAF supplies Gesipa multi-grip rivets. This means these rivets can be used on varying thicknesses of material, and therefore "grip" various total thicknesses, hence the name. 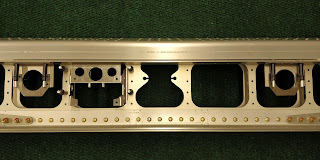 The rivets have two lines where the material folds over, a lower and and a top one. 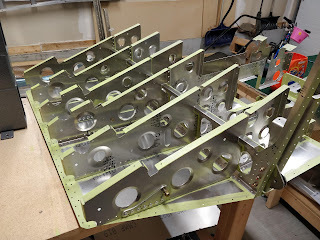 When the thickness line sup with these lines, rivets look one way, whereas if the material thickness is somewhere in between, they look another. Note how the right and left most rivets look, with the widest part of the bulge flush with the material, versus the two middle ones, where the bulge is a little removed from the material, looking more like a mushroom. I came across a situation where I had two rivets of the same diameter, but different lengths, and used what I later realized was probably not the length the factory had intended (the plans were silent on this).